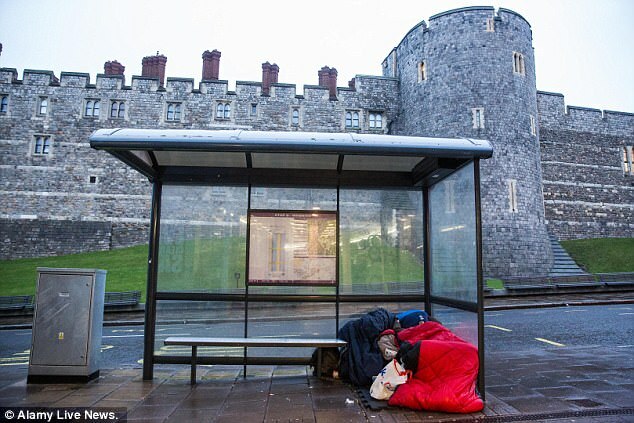 A homeless man today hit back at the leader of Windsor council who demanded he should be removed from the streets before the royal wedding and said: 'It's not our choice to be homeless'. Simon Dudley said rough sleepers are 'aggressive and intimidating' and wants them to be moved on before Prince Harry and Meghan Markle tie the knot in May. The Conservative Councillor even accused the beggars of 'marching tourists to nearby cashpoints' and demand money from them. 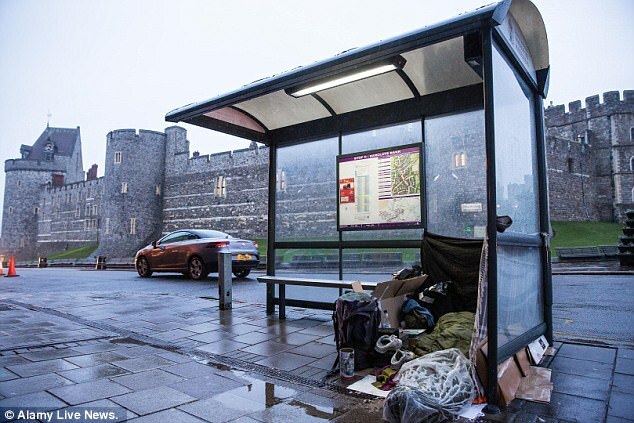 He added that the 'detritus and bags' of homeless people could provide a security risk when the royal couple get married at Windsor Castle. 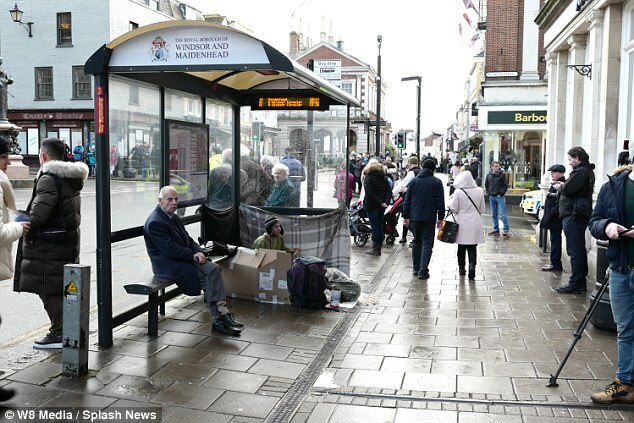 But homeless people living in Windsor have slammed Cllr Dudley and one, James, 35, told the BBC: 'He should come out and talk to the homeless and find out what their stories are before he makes those kind of accusations. And homeless charities have now criticised his 'abhorrent' comments adding that moving homeless people on is simply 'counterproductive'. 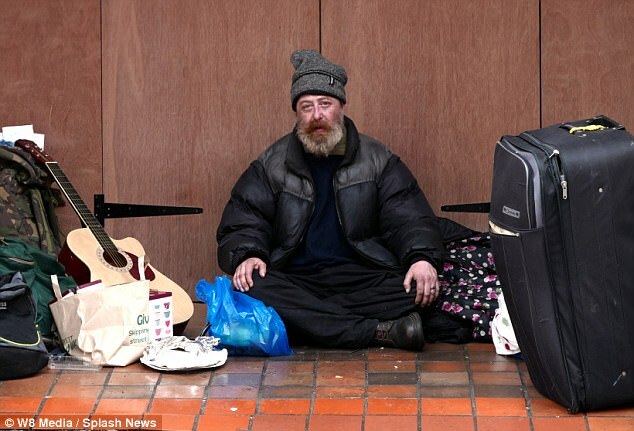 In a series of tweets while he was on a skiing holiday in Wyoming, US, Cllr Dudley claimed some homeless people have 'marched tourists' to cashpoints to withdraw money. But Thames Valley Police refuted his claims and said they 'deal with begging' but have not received reports of homeless people forcing people to withdraw cash. Murphy James, manager of the Windsor Homeless Project, said Cllr Dudley's comments were 'disgusting' and said the accommodation offered to homeless people was 'rat infested'. Speaking about Cllr Dudley, he told the Slough Express: 'It shows he hasn't got a clue. He has quite obviously never walked even an inch in their shoes. 'It is absolutely disgusting he is putting out such an opinion that it is a commercial life choice. 'Even if they do have homes, there is a reason they are on the streets. In order to beg you have to have the lowest level of self confidence. 'Having a key to a front door does not make everything better. He added: 'It's absolutely abhorrent that anybody has got these views in this day and age, especially a lead councillor of the borough. 'If somebody is sleeping out on the street they are not there by choice, they are there because something has gone wrong. Prime Minister Theresa May also criticised his comments and said councils 'need to work hard to ensure they provide accommodation'. Speaking during a visit to a hospital in Camberley, Surrey, she said: 'I don't agree with the comments that the leader of the council has made. Homeless charity Shelter said that people who end up on the street are 'at their lowest point' and said they 'desperately need help' after Mr Dudley's comments. Greg Beales told the Guardian: 'Stigmatising or punishing (rough sleepers) is totally counterproductive. 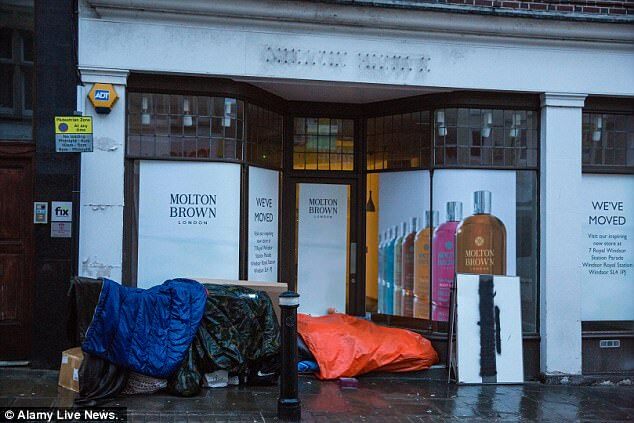 The Brett Foundation is a charity in nearby Maidenhead, Berkshire, and said it was 'deeply disappointed' after Mr Dudley said he wanted homeless people off the street. 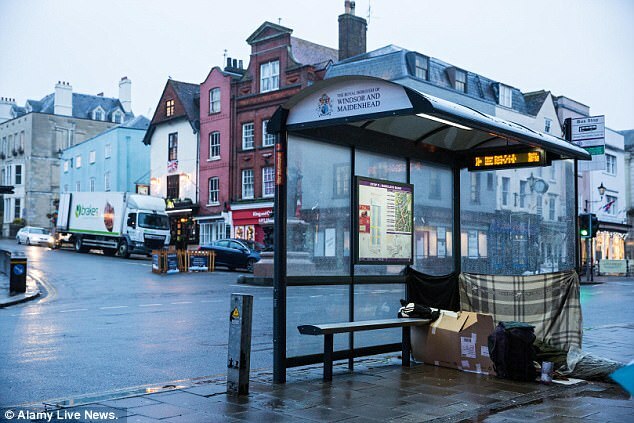 A 40-year-old man who is sleeping in a bus stop in the High Street in Windsor said he has been offered temporary accommodation in Southall but won't take it because his mother lives locally. The former conservatory fitter told the Slough Express: 'It has been really hard and it is absolutely freezing. Another man has been in and out of the temporary accommodation in Southall and said that 'you have to put up with loads of abuse'. 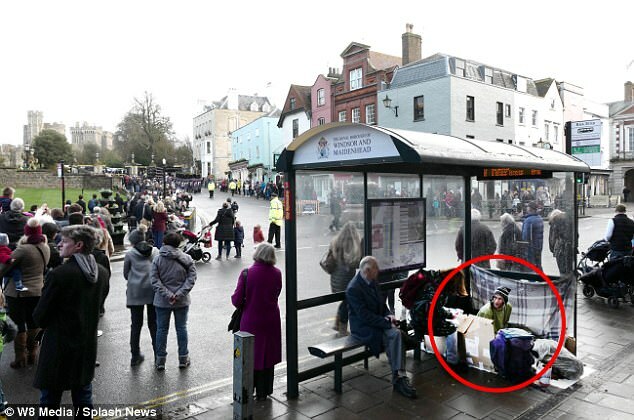 It comes after Mr Dudley wrote to the police and said the homeless have been 'praying on tourists' and added: 'It is time for you to deal with this issue. 'This is not voluntary homelessness. It is commercial life choice praying on residents and tourists. He also fumed that they 'present the town in a sadly unfavourable light'. In a series of tweets, the boss of the Royal Borough of Windsor and Maidenhead authority said 'residents have had enough of this exploitation of residents and six million tourists pa [per annum]'. He also vowed to write to Thames Valley police 'asking them to focus on dealing with this before the #RoyalWedding'. In reply, Windsor Police tweeted: 'We need to protect the most vulnerable in society by working together but each agency must understand its own unique responsibilities. 'Housing is the responsibility of the council but it is better that agencies work together so people don't become homeless. It is expected that tens of thousands of people will arrive in Windsor for Harry and Miss Markle's wedding on May 19. The chapel was described as a 'very special place' for the prince and where the couple had spent time together during their romance. The 11th century castle is one of the Queen's favourite residences and she often spends weekends there. 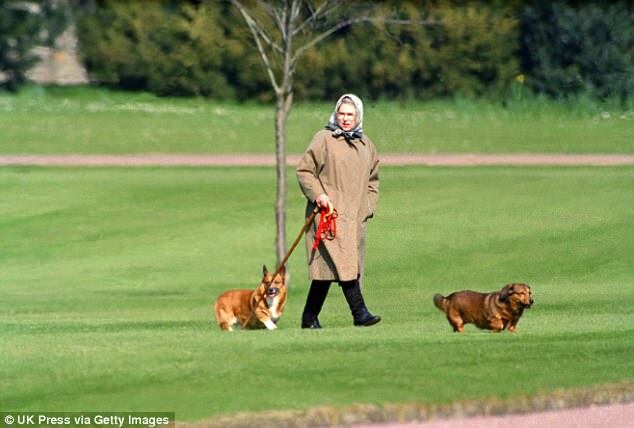 Last month the 91-year-old monarch was spotted riding her beloved black pony in the grounds, while accompanied by Head Groom Terry Pendry. 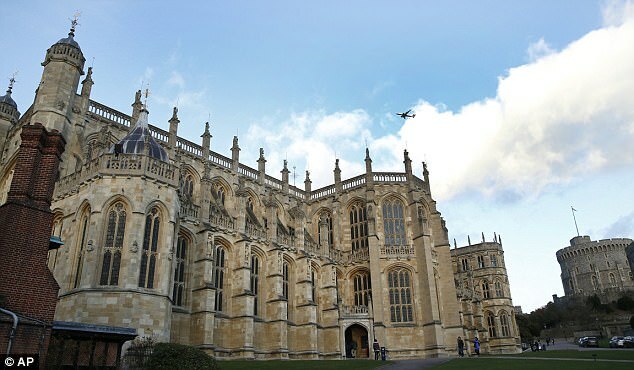 Windsor Castle is also open to the public, attracting 1.36million visitors each year. 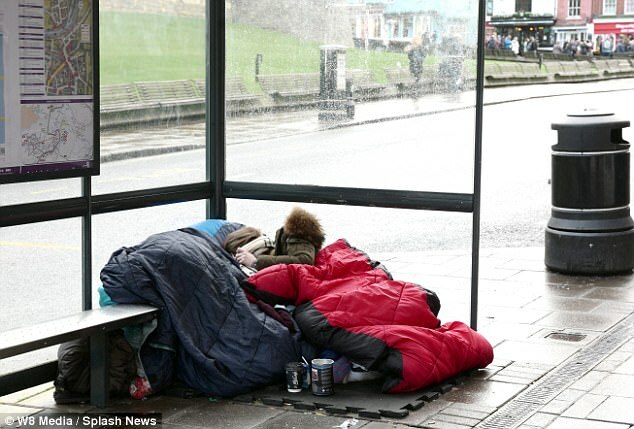 In a letter to Anthony Stansfield, the police and crime commissioner for Thames Valley, Cllr Dudley said that a lot of the people 'begging' in Windsor were not in fact homeless. 'Obviously, the level of tourist interest is set to multiply with the Royal Wedding in May 2018, and there are increased concerns from our residents about their safety', he wrote. Cllr Dudley also called on the police to use powers under the 1824 Vagrancy Act and the 2014 Anti-Social Behaviour, Crime and Policing Act to tackle the rough sleepers. Mr Stansfeld said he was 'somewhat surprised' that the letter was released publicly before being 'sent directly to me'. 'I myself attended a Royal Borough of Windsor and Maidenhead Council in October and these issues were not raised,' he added. 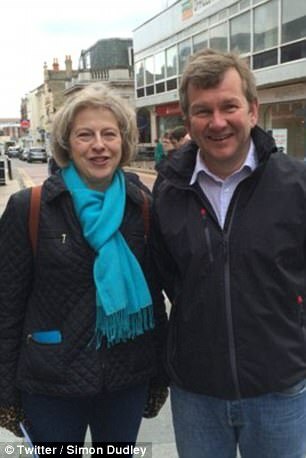 Mr Dudley's comments have been criticised by a local homeless charity manager, who described them as 'sickening'.